Winter is in in full effect. Are you stuck wearing your coat from last year? Don't break the bank and buy a new winter jacket to make you feel like a million bucks and look cute like the PrivyDoll you are! I found some adorable winter coats for under $90! 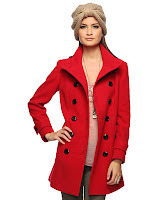 The red coat is from Forever21 for only $37! You cannot beat these fantastic, privy finds! Check out this military , feminine coat by BB Dakota for $80! 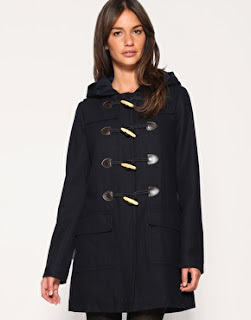 I love this wool, hooded coat with toggles from ASOS. For only $77 this is a great find!